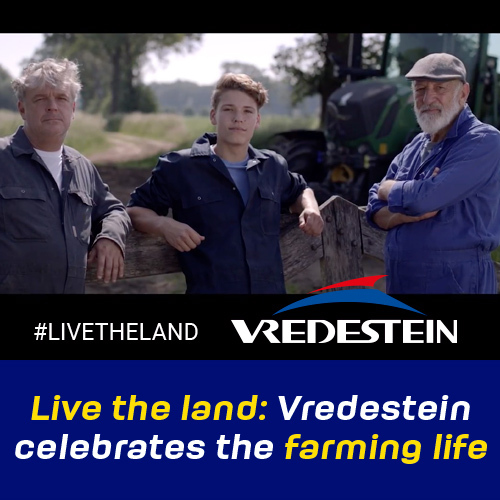 Premium tyre brand, Vredestein – available in Ireland from Modern Tyres – has produced a promotional movie honouring farmers, their connection to the soil and the hard work they do every day. Made by Amsterdam-based studio, Sounds Like Film and the result of nine months of filming, the video is part of Vredestein’s Live the Land campaign, which was launced in 2016, for its agricultural tyre portfolio. Told from the perspective of a farmer, the video clip describes life in the countryside with a mixture of pleasure and pride. It also makes a link to the way the long lifespan of Vredestein tyres enables farmers to achieve optimal performances, resulting in increased productivity and lower costs. For more information on the Vredestein range contact Modern Tyres on 048 66 32 22 99.